There are two types of investors in this world. One type of investor wants growth of stocks. They basically want price appreciation of the stocks so that they can be benefited by the long-term gain. The second type of investor's main concern is a dividend. The dividend is given by the company out of profit. 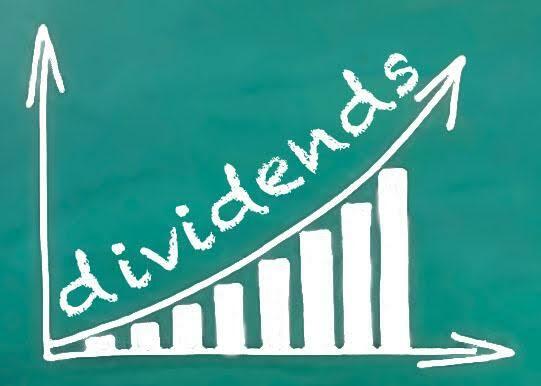 It is not mandatory but the companies who are distributing dividend regularly have a good reputation in the share market. So today we're going to discuss Top 8 dividend paying stocks In India. Coal India is a well-known company and its reputation in distributing dividend is quite good in the share market. This company is currently trading at 15.62 P/E ratio and EPS of ₹15.82. In FY 2018 coal India has given ₹16.5 as a dividend to its shareholders which comes to a dividend yield of 6.81%. Power Finance Corporation is another company which distributes dividend regularly and at a good percentage. It offers you dividend more than the fixed deposits offered by most of the nationalized bank. This company is currently trading at 5.27 P/E ratio and EPS of ₹19.96. In FY 2018 coal India has given ₹7.80 as a dividend to its shareholders which comes to a dividend yield of 7.42%. Rural Electrification Corporation is a company which arranges finance for various kinds of loans and advances related to electricity. This company is currently trading at 4.49 P/E ratio and EPS of ₹27.16. In FY 2018 REC has given ₹9.15 as a dividend to its shareholders which comes to a dividend yield of 7.5%. Indian Oil Corporation is an Indian state-owned oil and gas company with registered office at Mumbai. This company is currently trading at 5.79 P/E ratio and EPS of ₹23.87. In FY 2018 IOC has given ₹21 as a dividend to its shareholders which comes to a dividend yield of 15.2%. Hindustan Petroleum Corporation Limited has approximately 25% market share in India among public sector companies and strong market infrastructure. This company is currently trading at 5.99 P/E ratio and EPS of ₹42.71. In FY 2018 HPCL has given ₹17 as a dividend to its shareholders which comes to a dividend yield of 6.64%. Bharat Petroleum Corporation Limited is a government of India controlled maharatna company. This company is India's second largest downstream oil company. This company is currently trading at 9.42 P/E ratio and EPS of ₹38.4. In FY 2018 BPCL has given ₹21 as a dividend to its shareholders which comes to a dividend yield of 5.80%. Oil India Limited is the second largest hydrocarbon exploration and production Indian public sector company with its operational headquarter in Assam. This company is currently trading at 6.43 P/E ratio and EPS of ₹27.64. In FY 2018 OIL India has given ₹15 as a dividend to its shareholders which comes to a dividend yield of 8.44%. Vedanta is a global diversified metals and mining company with its headquarters in London. This company is currently trading at 10.73 P/E ratio and EPS of ₹18.58. In FY 2018 OIL India has given ₹21.2 as a dividend to its shareholders which comes to a dividend yield of 10.63%. I hope this article will help you in the future for taking decisions regarding dividend-paying stocks. I personally have REC in my portfolio and my only reason to hold this stock is to get the handsome dividend. That’s all for today.